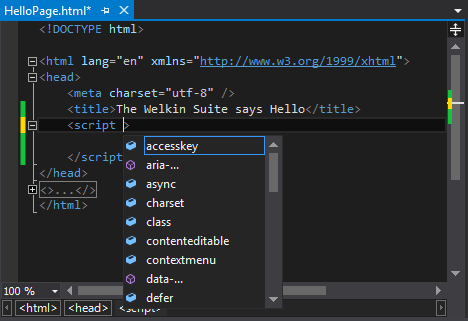 The HTML Editor, as well as all other text editors in The Welkin Suite, provides multiple basic and also advanced editing features that may decrease time spent on development. All the editing options are also available via the HTML Source Editor toolbar. You can customize the HTML Editor as you want. 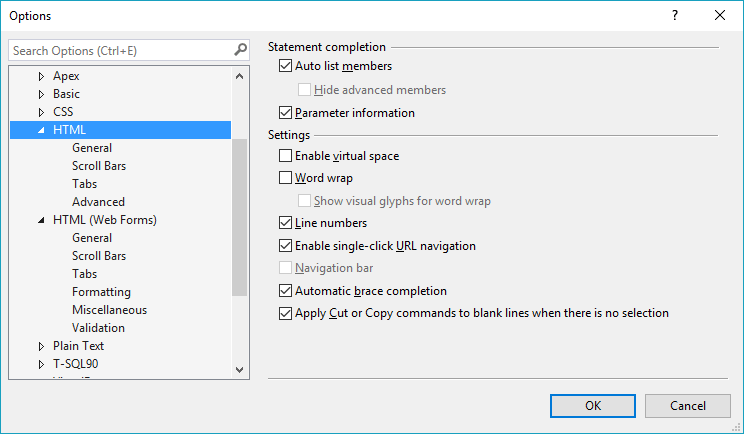 To do so, go to the Options Menu: Main Menu ⇒ Tools ⇒ Options… ⇒ Text Editor ⇒ HTML / HTML (Web Forms).